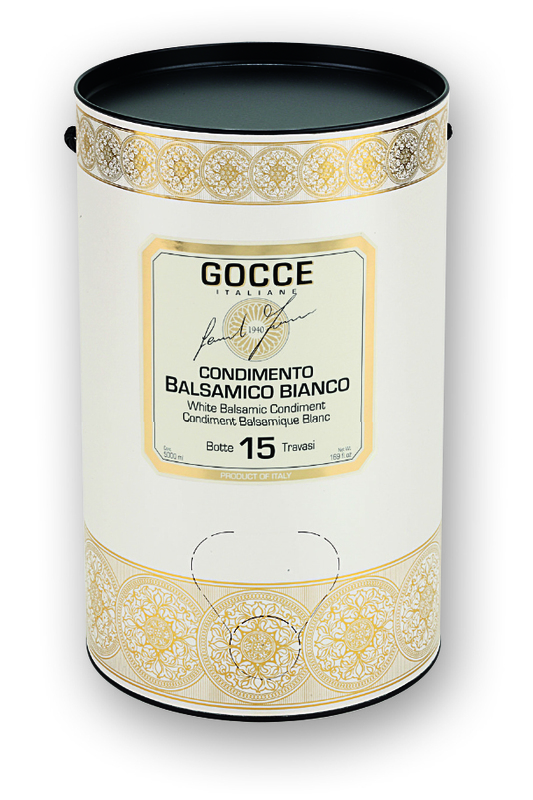 This white condiment is produced with white concentrated grape must and white wine vinegar, aged in oak barrels. It has a typical yellow-gold colour and a pleasant density and sweetness. Ideal on appetizers, salads, raw and cooked vegetables, sauces, fish, white meat (chicken and turkey), cheeses, desserts, for fruit salad, cheesecakes, ice-creams, cocktails and soft drinks.